Other Parts – FIMCO Manufacturing Inc. This is the screw used in the construction of the plastic valve. This is the 2-piece vacuum breaker set for indexing valves with a metal top. The cam cover sits on top of the cam and is secured by four screws. It is universal for all valve series. 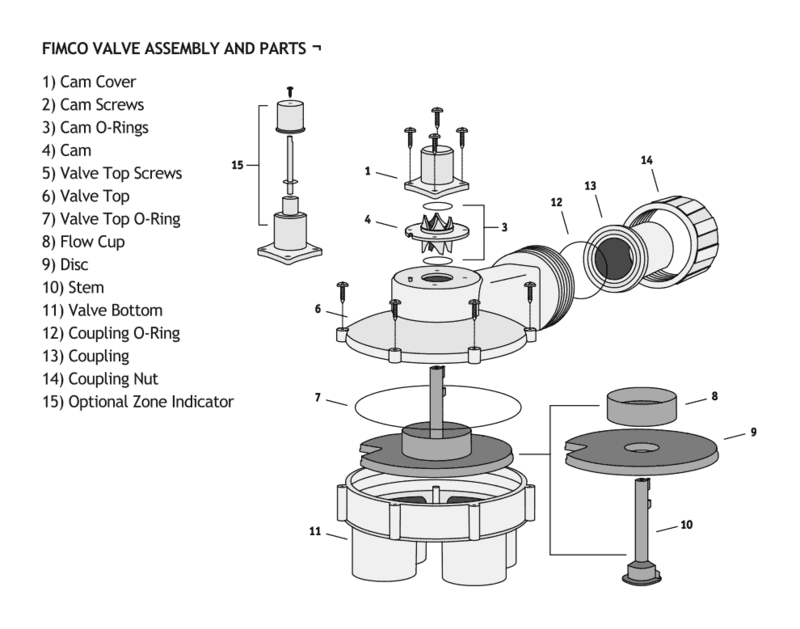 The zone indicator is an invaluable addition to any and all FIMCO indexing valves. This part takes the place of the Fimco Cam Cover.